Pool star Jeanette Lee’s appearance on Fox Sports Net’s “The Best Damn Sports Show Period,” has been postponed. Lee’s appearance on ESPN’s “Unscripted with Chris Connelly” is still scheduled for April 4 or 5. Check your local listings for exact air times. Also look for Lee (ESPN’s third-sexiest athlete) in an upcoming issue of FHM magazine. Allison Fisher defeated first-seed Karen Corr, 7-1, to win the Women’s Professional Billiard Association Cuetec Cues Players Championship. This is Fisher’s first classic tour win since the WPBA Nationals in December 2000; her victory snapped Corr’s winning streak of six consecutive WPBA Classic Tour titles. The Cuetec Cues Players Championship was held March 15-17, at the Valley Forge Convention Center in King of Prussia, Pa. It was the first stop on the WPBA 2002 Classic Tour. Upcoming events on the tour include the Spring Classic on April 17-21 in Alpine, Calif. and the Midwest Classic on August 21-25 in East Peoria, Ill.
Fisher’s winning check was $10,000, while Corr settled for $7,000 and second place, followed by Helena Thornfeldt with $5,000 for third. Team Predator, consisting of the top players from the Florida Tour, defeated Team Joss of the Joss Northeast Tour in the inaugural Patriot Cup held at Planet 9-Ball in Tampa, Fla., Feb. 15-17. 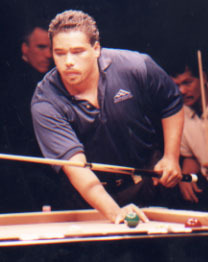 Charlie Williams, the event’s promoter, had a hand in several key matches that led to his team’s victory, including a win over George SanSouci in the break contest. 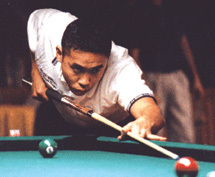 The three-day event pitted the rival tours against one another in a series of games, including 9-ball, 10-ball, straight pool and one-pocket. Team Predator’s roster featured Ray Martin (team captain), Buddy Hall, Nick Varner, Tommy Kennedy and Williams. Runner-up Team Joss included Mike Zuglan (team captain), Tony Robles, Frankie Hernandez, Mika Immonen and SanSouci. The event is scheduled to return next year in a location to be determined. For complete coverage of the event, check the April issue of Billiards Digest. Sorrentino had no comment on the dismissal, nor the controversy surrounding it. The WPBA will not release any of the documentary evidence, according to the statement, out of respect for Sorrentino. Feb. 8 press release from Trifecta Entertainment, the Women’s Professional Billiard Association announced that the Board of Directors had unanimously voted to dismiss newly elected board member Dr. Diana Sorrentino. Sorrentino, a New York business consultant, was dismissed with cause, according to the release. WPBA officials declined further comment on the dismissal, pending formal correspondence with Dr. Sorrentino. In the weeks leading up to the ouster, WPBA board members scrutinized Internet discussion forums where Sorrentino was an active participant. WPBA bylaws provide for removal of members “with or without cause at any time, by the vote of two-thirds of the members of the board of directors present and voting at that meeting called for that purpose.” At press time it was not known how many board members voted on the issue. “This has been an unpleasant process for the entire board but we are committed to furthering the goals and objectives of the WPBA,” said Jan McWorter, WPBA president, in the press release. “We would like to thank Dr. Sorrentino for her service and wish her well in her future endeavors.” McWorter added that the Board is in discussion about how to fill the open position, which they hope to do immediately. “In the past we’ve gone to the next-highest vote getter [in the most recent election],” said WPBA vice-president Kelly Oyama. Scorpion Tops Dragon in D.C.
Johnny Archer registered a come-from-behind 9-8 victory in the 9-ball final of the Capital City Classic on Jan. 27 to win $6,500 for first place. 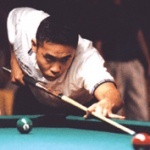 The inaugural event marked the third straight major tournament of the 2002 season, following the Derby City Classic (Jan. 4-12) and Music City 9-Ball Open (Jan. 19-20). Derby City one-pocket runner-up Jose Parica captured the one-pocket division at the Capital City Classic, topping Pete Fusco, 5-3, in the final to claim $6,000. Charlie Williams led for most of the final against Johnny Archer, but Archer rallied to claim the victory. Williams settled for the $4,000 second-place check. Allen Hopkins finished third, worth $3,000. Jeanette Lee is used to facing tough seeded players, just usually not in the first round. But in ESPN’s World’s Sexiest Athletes poll, which is being conducted using a 32-athlete March Madness-style bracket, Lee has the misfortune of going head-to-head against one of the Internet’s most-searched celebrities, Anna Kournikova. The Russian tennis star, who is reportedly married to Detroit Red Wings perennial National Hockey League All-Star Sergei Federov, has been consistently named Lycos’ Most Searched Athlete, ahead of legends like Michael Jordan and Muhammad Ali. 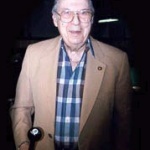 Lee is the billiard community’s most recognizable face, with numerous television and print appearances. Despite multiple surgeries last year, Lee has hardly missed a step, closing out the 2001 season with a runner-up finish behind No. 1-ranked Karen Corr at the Cuetec Cues National 9-Ball Championship. To vote for Lee in the poll, log on to http://espn.go.com/sexiestathletes/. ESPN will televise the results during a two-hour special, The World’s Sexiest Athletes presented by US Magazine, on Jan. 27 at 8 p.m. EST. 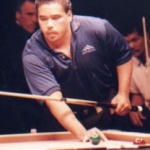 After Team Europe drew first blood in the 2001 Mosconi Cup, Team USA won the next 12 matches to claim its sixth straight Mosconi Cup title at York Hall in Bethnal Green, England, Dec. 20-23. The 12-1 victory for Team USA is the most decisive win in the eight-year history of the annual Ryder Cup-style event, which Team USA has now won seven times. Only the pairing of Niels Feijen and Mika Immonen was able to scratch the scoreboard with a 5-3 triumph over veteran U.S. duo Johnny Archer and Nick Varner. But from then on, Team USA dominated play. The young American pair of Charlie Williams and Cory Deuel built Team USA’s lead with two convincing victories over Steve Knight and Marcus Chamat by a combined score of 10-3. Archer and Varner then closed out the event by redeeming themselves from the Day 1 loss with a 5-1 win over Immonen and Team Europe captain Ralf Souquet. 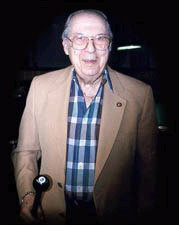 Jimmy Caras, World Pool Champion, oldest living Hall-Of-Famer and #10 on Billiards Digest’s 50 Greatest Players of the Century, had a stroke last week in Jacksonville, FL. Jimmy was placed in a Nursing Home over the weekend and the first thing he asked the nurses was, Is there a pool table in here? Although Jimmy cannot walk or get out of bed now, he is still talking, joking and has all of his faculties. Jimmy went to the poolroom in Jacksonville every afternoon that he could – even though his arthritis in his legs slowed him down. Jimmy turns 93 on December 17th. After a long hiatus, Rodney Morris returned to his old form at the Sands Regency Reno Open, Dec. 4-9, topping Nick Varner in the final to claim $12,000. Morris had been away from the game to serve a prison sentence for a narcotics-related conviction. 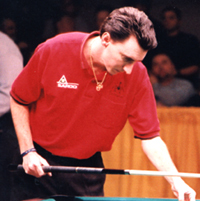 Morris, who also competed in the Tokyo 9-Ball International Billiard Tournament the previous month, earned his last major victory by capturing the 1996 U.S. Open. Varner collected $5,600 for second place, while Johnny Archer earned $3,700 for third.